Here is a drink enjoyed by millions around the world, but do people understand the beauty of the coffee bean? We have pulled together all the best information from around the world to squeeze the bean and teach you the differences between coffee roast strengthens, the changes of flavor from coffee roast acidity, the common coffee brews you order, and the tools to brew a cup coffee for yourself. So, without further ado, go ahead and start sipping on your coffee and enjoy this coffee roasts explained. Coffee comes in a lot of different flavours. Should you go to a real coffee shop (not those chain stores like Staryucks and Tim Horribles) you might see a bunch of beans on sale with various qualities describing the bean. BODY: Coffee is brewed in water, however, have you ever noticed that some coffees are thicker than others? A full-bodied coffee will be very dense and thick, while a medium or light-bodied coffee will be more watery and clear. AROMA: Our taste buds enjoy sour, sweet, salty and bitter tastes, while our nose enhances those elements. Coffee aroma can vary from bean to bean but here are a few common qualities: fruity, flowery, smoky, and earthy. ROASTS: Roasting coffee beans ignites some incredible chemical changes. This is explained in more details below. BALANCE: This description is used to bring together all the different factors explained above. A balanced coffee bean will be neither too acidic nor very mellow and involved a complexity of satisfying aroma and flavour. An unbalanced coffee will take on the extreme, such as very high acidity, creating a rather different experience. FINISH: The “finish” of a coffee bean refers to the taste and sensation remaining in your mouth after you swallow. Coffees can have varying aftertastes that are chocolatey, nutty, or fruity. This term, “finish” is taken from the world of wine tasting. Let’s face it, you’re not drinking coffee solely for it’s taste and aroma. If you’re anything like us, you’re drinking it for that extra kick to get the brain functioning in the morning then running smoothly for the rest of the day. Of course, if you don’t know your caffeine limit, you could get too ramped up and that can lead to stress. 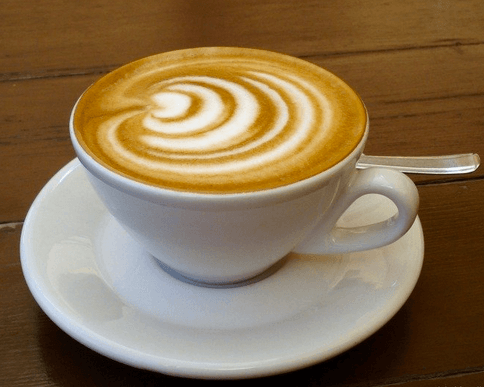 Let’s quickly talk about the caffeine levels of your coffee. 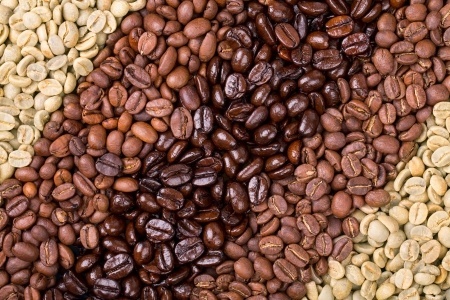 There are two types of coffee beans available on the market. They are Arabica and Robusta. You may be misled to believe that there are hundreds of different beans in the world, but the truth is, there are only these two. 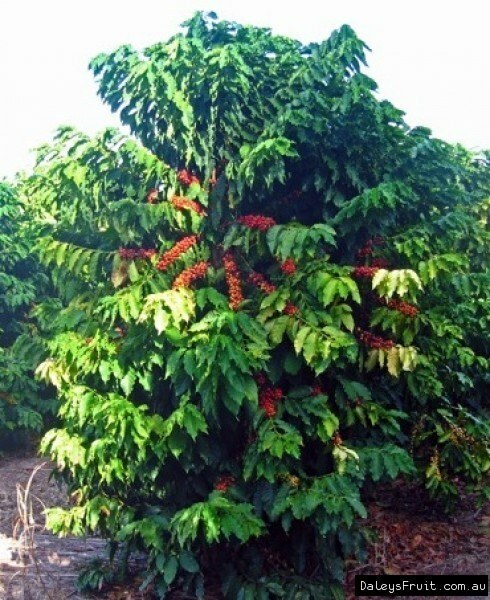 Below is a picture of a big, bushy Arabica coffee plant. Now that you know, you may also want to take note of the differences in caffeine levels. The Arabica is the tastier bean but it is also more expensive. Is that because of the caffeine content? Surprisingly, no. The average cup of Arabica will contain between 84 to 585 milligrams of caffeine. The Robusta, while having a harsher taste and lower price, has much more caffeine. The average cup of Robusta will contain between 230 to 850 milligrams of caffeine. So, why do you drink coffee? If you’re seeking that caffeine fix and need it regularly, that Robusta bean may be the best thing for you. 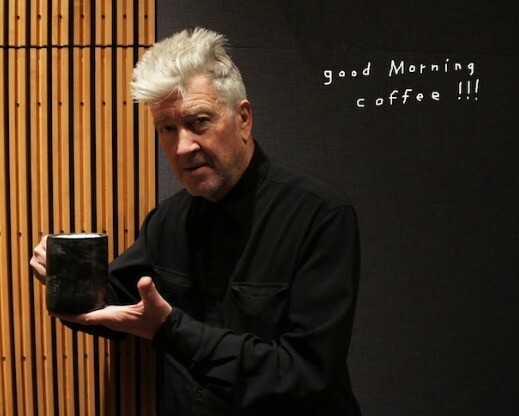 People like famous film director David Lynch once said that he drank up to 20 cups a day! His blood was probably 50% coffee at that time. By the way, in case you’re wondering why there is so much variation in the level of caffeine, that is usually due to the way a coffee is brewed. COFFEE MYTH: Some people believe that dark roasts have more caffeine in them than light roasts (or vice versa). 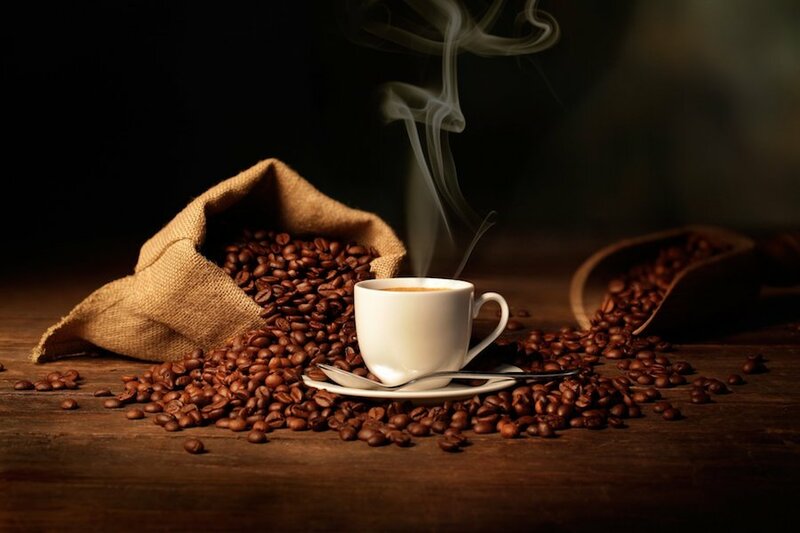 In fact, the common misconception about the caffeine content in coffee is that the methods for roasting of the coffee affects caffeine levels in the brew. Well, none of this is true. Caffeine is an extremely stable chemical and does not change during the process of roasting. Of course, there may be some slight variations but you would need microscopic measuring tools to notice the difference. Coffee comes in a cup but must first decide on the way it gets made. Here are some of the common methods to make coffee and the tools to that go along with them. ESPRESSO is potent and compacted cup of coffee that is made by forcing piping hot water over finely ground coffee in a pressurized compartment. The coffee is that comes out is thicker and has a crema (creamy foam) on top. The concentrated method for producing this coffee gives an intense flavor and higher caffeine kick. If you’re considering brewing an espresso at home, give one of these under $1000 home espresso machines a try. AMERICANO is like a diluted version of the espresso. You take a shot of espresso and add an equal amount of hot water. It’s a lighter version of the espresso but you still get the same amount of caffeine. CAPPUCCINO is almost always made with love. This drink requires a balancing act of pressure, steam, and foam to create this creamy brew. It requires a shot of espresso and fresh milk that gets frothed. When mixed together, you get that creamy brown coffee. If you’re lucky, that barista you’re falling with be telling you something in design the crema. TURKISH COFFEE is a daring method that puts your coffee grind directly into a pot and simmered to perfection. You can use any kind of bean for this but you must use finely ground coffee beans. To do this yourself you will need a grinder with a very tight burr set like the Breville Smart Grinder (if you want to go slightly fancy) or you can go with an authentic turkish grinder like one of these little beauties. Depending on your taste, you can decide whether to add sugar to the simmering process or not. Add hot water to your french press, swirl is around, and discard the water. Grind your coffee and add it to the french press. Gently pour the hot water half way over the grind allowing gases to release and the aroma to bloom. Allow the coffee to steep for 30 seconds then add the other half of water. Wait another 30 seconds before stirring, pouring and enjoying your cup of coffee. 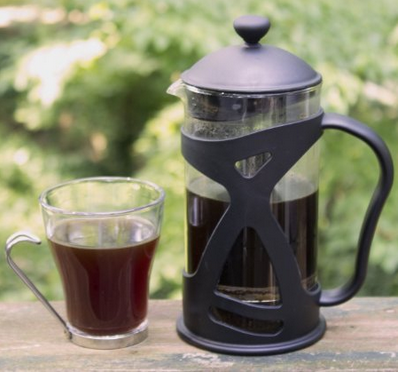 The Bodum Brazil and the KONA French Press are a couple of the best french presses to own. In fact, if you don’t have one of these you may want to consider tea to be your drink of choice. V60 COFFEE requires patience and precision to pour the perfect cup of coffee. The first thing you need for this is a filter like the Hario V60 and a filter to go in it. Then, you can add your favourite coffee roast and gently pour hot water over all that broken bean. This coffee can take a few minutes for the water to filter through but the end result is a powerful drink with a wonderful bodied flavour. PERCOLATED COFFEE is made by boiling water with coffee grinds sitting in an upper compartment that gets bathed with hot water being forced up a pipe. The percolated coffee is great for outdoorsman who don’t have a stove to cook on but instead a fire to heat up the bottom of this brilliantly designed coffee maker. If you’re planning a camping trips into the wilderness you may want to take along the something like a Farberware Classic to get your fix. As a precaution, don’t percolate your coffee for too long or you’re going to end up with a bitter taste. 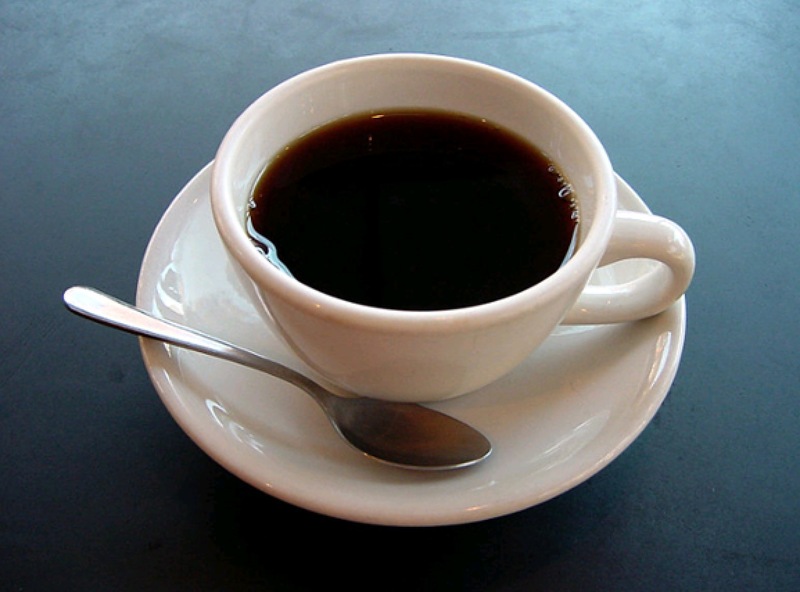 DRIP COFFEE can be considered an automated version of the V60 brewing method. Instead of carefully covering the coffee bean with steaming hot water, a machine will disperse the water over the coffee bean in a filter. The pour over version may be able to provide a higher quality cup, but for the sake of convenience a coffee machine can be set to make your coffee just moments before you wake up. 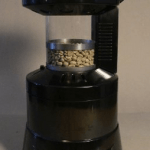 If you want a coffee grinder that can handle any and all of these methods of brewing coffee, take a gander at our burr grinder review section to find one that will suit you best! Well, you got us. We’ve been beating around the coffee bush this whole time. However, in order to fully understand the differences in coffee roasts, we think all this background information provides the perfect place to explain the roasting process. Let’s start by looking at the different coffee roasts. LIGHT ROASTS have a light brown color and are usually low in acidity and body (and often flavor too). There are no oils in your coffee because the roasting process does not activate the bean to start those chemical transformations. This roast may also be called Light City, Half City, New England, and Cinnamon roasts. 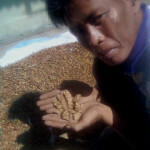 MEDIUM ROASTS have a medium brown color with a medium acidity (hence the title “medium”). It has a stronger flavour than the light roast but also has a non-oily surface. The medium roast is very popular throughout North America. This roast may also be called Breakfast, City, Regular, and American roasts. DARK ROASTS are dark brown or almost black made from shiny little beans. The oils are fully developed during the roasting process and the flavor is full bodied with low acidity. The dark roast is commonly used to make espresso. This roast may also be called New Orleans, European, Viennese, Continental, Italian, French, and High roast. A general guideline to follow when it comes to the flavor of these coffees is that a darker roasts often has a powerful taste while the lighter roasts tend to lack much excitement overall. Coffee roasts are often identified by the color which is caused by the process of roasting the bean. To achieve these variations in color and taste, it all comes down to how you roast the coffee bean. Coffee beans come from a variety of places around the world. 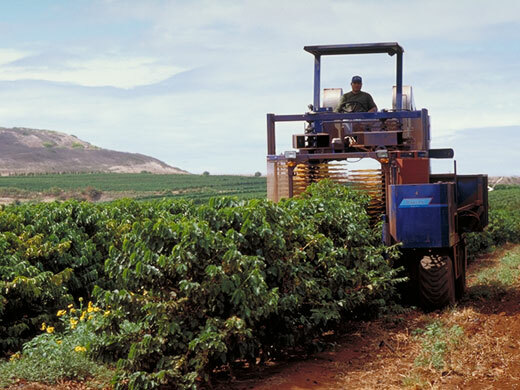 While there may only be two beans on the market, the Arabica and the Robusta, the location a coffee bean grows is going to have an effect on the flavour at the end of the roasting process. If you take a bean that comes from Indonesia or a bean that comes from Brazil, they should not be roasted in the same way. The elevation where they grow, the temperatures the are exposed to, and the climate that surrounds them are vital points to consider when it comes to roasting the bean. 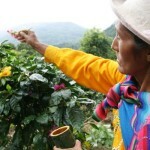 The traditional harvesting and processing methods is what allows there to so much variation in coffee world wide. When it comes to the actual process of roasting, there are a number of techniques to use. The best ways to roast coffee can often be done in your own home. However, on an industrial level, coffee beans are being roasted in massive batches then shipped world wide and squeezed into your cup. You might be curious to learn more about the origins of coffee and all the places they come from. After you go get your second cup of coffee, satisfy your coffee curiosities with Indonesian coffee, Canadian coffee, or Vietnamese coffee, or and discover coffee culture worldwide.